The Champions League is the traditional closer to top-flight football in Europe and once again, Real Madrid has made this final. This year they will go up against Liverpool, with a win almost cementing their place as one of the greatest European football teams in recent decades. A win here for Madrid would be their third straight victory in Europe’s top football tournament, while it would also be their fourth win in the last five years. Liverpool are here to spoil the party, and although they come into the game as underdogs they have a chance of upsetting Madrid. We have seen Liverpool play some of their best football of the season in Europe, and although their success is not as fresh in the memory as that of Madrid, they certainly have plenty of European tradition around the club. This is a different team, but Liverpool live and breathe European football, and a win here would be a huge platform for them to build on over the coming years. Not only does this look like being a great occasion, but it also looks like being a great game. Both teams have match winners amongst their line-ups and those players are going to be key to how this game develops. Madrid come here as favourites based on their recent form in this competition, but Liverpool will relish the challenge of being underdogs, and if anything this is the situation they would prefer to be in. Where Can I Watch the Game on TV? When taking a look at the game, my feelings are that one man will decide where the Champions League trophy heads, and that is Liverpool manager Jurgen Klopp. We have seen the best and worst of Liverpool in the Champions League this year, with the style and formation that Liverpool play being a huge reason behind their success or poor performances. When attacking, we have seen Liverpool tear apart both Manchester City and Roma in recent games. However, when trying to defend and maintain what they have, we have seen Liverpool at their worst, including when having a scare in Rome during their semi-final second leg. If Liverpool tries to play defensively because they are playing against a talented attacking minded team then that will hand Real Madrid the trophy. Liverpool seemingly cannot play that game, and it would be hugely disappointing to see them do this, they have to go out there and try to win. That is what I think Jurgen Klopp will do, and that is why I think Liverpool will edge a high scoring game. When attacking, Liverpool are amongst the best in the world, and that is what they have to be to win this tie. They don’t need to worry about Madrid and their attacking line-up, what Liverpool need to do is attack themselves and score more goals than their opponent. Assuming Liverpool setup like this, I think we are in for plenty of goals and a Liverpool win. They have to be brave and have a go at Madrid, and only Jurgen Klopp can let them do that, him and his tactics will play a huge role here in the outcome of the final. The bookmakers make Real Madrid favourites to win this game, they are priced up at 5/4 to win in 90 minutes while Liverpool are 11/5 and the draw is 14/5. If you think extra time and penalties are a possibility then you may want to look at the market for which team will lift the trophy. Madrid are 8/11 here, while Liverpool can be backed at 13/10. This covers you just in case the game goes past the 90 minutes stage if you think that may happen. Many people will be looking at the goals betting market in this one, with goals expected to feature heavily in the game. Over 3.5 goals in the game can be backed at 5/4 with the bookmakers, while over 4.5 goals can be backed at 11/4. This could be a real end to end classic, with plenty of goals so I expect both of those markets to be popular. If you are looking at a first goal scorer, many people will be looking towards Cristiano Ronaldo and Mo Salah. Ronaldo is the 16/5 favourite to score the first goal, while Salah is the second favourite behind him at 23/5. Both players are the main focus of their team’s attacking play so both can be expected to have chances during the game. Roberto Firmino may offer value in this market and he can be backed at 15/2 to score the first goal. Coral have a great deal for new customers to take advantage of before the Champions League final kicks off. They are offering their new customers the chance to back a yellow card in the game, at a price of 40/1. This is far bigger than you will find anywhere else, and with a card looking likely you will be able to kick-start your new betting account in the right way. If you are looking for a new betting account ahead of the Champions League final then this offer from Ladbrokes may be ideal for you. They are offering new customers the chance to back a goal to be scored in the game at 40/1, a huge price and bigger than anywhere else. The game looks sure to be full of goals, and that means you are highly likely to get a great start with your new account. 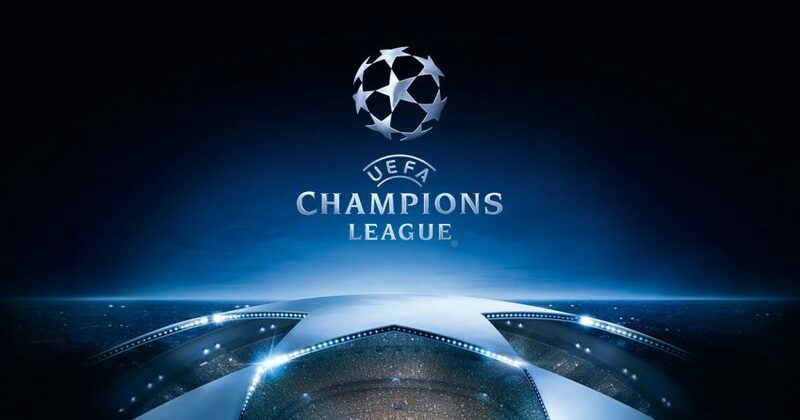 If you are looking to take advantage of a welcome bonus this weekend that includes a free Champions League bet then this offer from 888Sport is for you. They are offering new players the chance to pick up not only £30 in free bets, but also a free £10 bet on the Champions League final. To claim this you have to deposit and bet £10 of your own cash before the game, but this gives you a total of £40 in free bets to then spend, including your £10 on the big final. There is a lot to gain from this offer, and if you are on the lookout for a new account this is certainly one to consider. To get ahead before the World Cup begins, William Hill are giving their customers the chance to earn free bets. There is another chance this weekend when the Champions League takes place. To claim this offer, simply place a £10 bet on the Champions League final at odds of 1/2 or greater, and you will qualify for a free £5 bet to place on any World Cup market. Betfred offer their double delight and hat-trick heaven promotion for all the big games and the Champions League is no exception. This is a great offer for those backing a first goal scorer in the game, and you could find yourself with a huge payout. This is available to new and existing customers, so everyone can take part. Should your first goalscorer score the first goal of the game and then go on to score another, you will be paid out at double the odds. If he then goes on to score a hat trick, you will be paid out at treble the odds, a great deal from Betfred on goal scorers. Paddy Power are offering money back as a free bet on selected markets if Liverpool’s Mo Salah scores a goal in 90 minutes. These markets are the first/last goalscorer market, anytime scorer market, correct score and what odds Paddy, giving you the chance to benefit from a free bet refund if Liverpool’s main man gets on the scoresheet. This is a good consolation to take advantage of if you think Salah will get a goal in the game. When placing a bet on any final the chance of that game going to extra time is always something punters think about and something that will often ruin a lot of bets. However, with 10Bet you can take advantage of a free bet refund if the game goes to extra time. Place a £10 bet on either team to win, the correct score market or a goal scorer market and if the game goes to extra time you will be given a refund as a free bet. This is a great way to cover your bet if you think there is a possibility of extra time this weekend.